California has it all - sea, sun, mountains and most importantly skiing! Skiing might not be the first thing that springs to mind when you think of California but it should definitely be up there on the 'must visit' list of ski resorts. 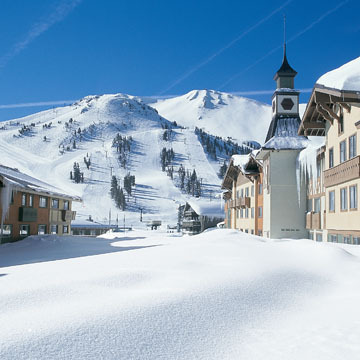 With average snowfalls of between 33ft - 38ft per year, these resorts receive some of the most snow in the world! Lake Tahoe is the most well known area for skiing, which is home to the resorts of Heavenly, Squaw Valley & Northstar at Tahoe, whilst Mammoth Mountain sits just south of Yosemite National Park. If you would like a tailor-made quotation for your California holiday click here or call the reservations team on 0131 243 8097. 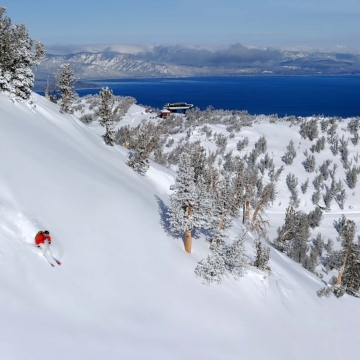 Heavenly is an eclectic mix of laidback Californian attitude and the hustle and bustle of the infamous Nevada casinos, all with the stunning backdrop of Lake Tahoe. You can choose to stay at the foot of the gondola, so you will be the first on the mountain or at edge of Lake Tahoe in one of the lakeshore properties, where every morning you will be blown away by the view. 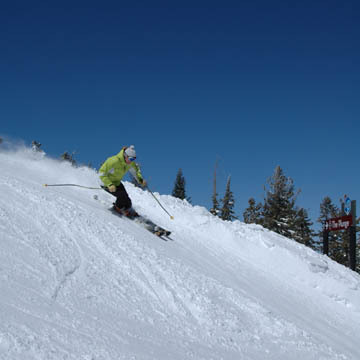 Mammoth mountain is set above the town of Mammoth Lakes, and offers skiing suitable for those looking for a deep powder experience as well as families and mixed ability groups looking for groomed runs. With its season running well into May, it is a perfect choice for a late season trip.There is a good choice of hotels and condos suitable for all budgets. 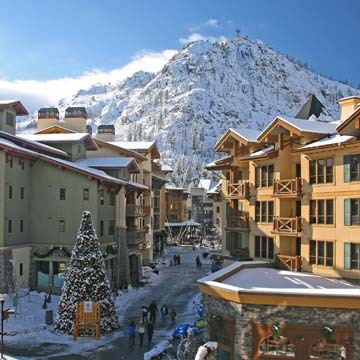 Northstar at Tahoe sits at the northern tip of Lake Tahoe, and is only a short 45 minute transfer from Reno airport. It is an ideal resort for beginners and intermediates and perfect for families thanks to it's new ski in/ ski out village. Having been at the focus of r huge improvements over the past few years, it is a gem of a resort.